We have five convenient clinic locations that provide multi-specialty services. Our providers consult with one another between our various departments and specialties to provide comprehensive care to our patients. "Where Caring is a Tradition" is a philosophy of providing concerned, quality healthcare to the communities we serve at an affordable cost. This has been our mission since the original clinic was founded in 1953. Our goal is to continue serving patients with a professional yet personal touch to promote positive healthcare experiences at every stage of life. wherever you are in your journey. Our reproductive health services range from pregnancy and fertility to contraception and menopause. We also offer state-of-the-art digital mammography, bone density scans, and nutritional health services. Our all-female OB/GYN team is comprised of physicians, nurse practitioners, and physician assistants who focus on healthcare for women. Primary care for all ages, from newborn infants to the elderly. Management of medical conditions and illnesses relating to the internal systems of the body. Diagnosis and therapy of rheumatic diseases. Surgery and treatment of colon and rectal problems. Preventive foot health, comprehensive diabetic foot care, wound care, sports medicine, and foot and ankle surgery. Routine, on-site x-ray services to assist in the diagnosis of medical problems. State-of-the-art digital mammography for early detection of breast cancer. DEXA Scan: a safe, easy screening test for osteoporosis. 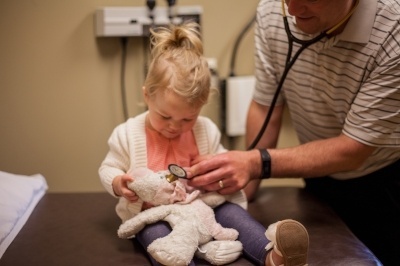 North Clinic is now offering adult and pediatric walk-in visits at our Maple Grove, Osseo and Plymouth clinics. At North Clinic’s Center for Women’s Health, located in Plymouth, we offer the convenience of evening hours and walk-in mammogram appointments.